HEROINE OF KARTHI'S NEXT WITH BAKKIYARAJ KANNAN IS HERE! Bakkiyaraj Kannan, who directed Remo with Sivakarthikeyan and Keerthy Suresh as the leads, is all set to unite with Karthi for his next film. The project is bankrolled by S.R.Prabhu and S.R.Prakash Babu under the banner Dream Warrior Pictures, that is also producing Surya’s NGK, which is in post-production stage. On the other hand, Karthi's Dev has just released, and it is receiving a mixed response from the audience. 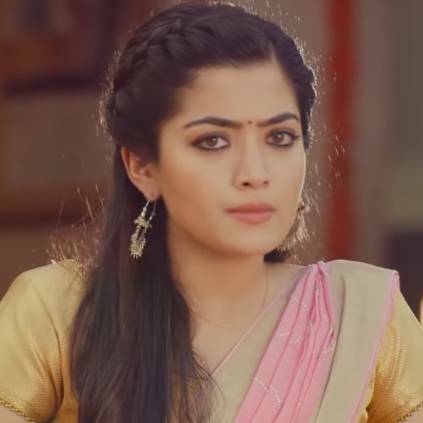 The latest update on the Bakkiyaraj Kannan - Karthi project is that Rashmika Mandanna of Geetha Govindam fame will be playing the female lead. This was officially confirmed by the director when we got in touch with him. This marks the official Tamil debut for the 'Inkem Inkem' sensation. The project is set to go on floors by the end of February or early March 2019. She is touted to play a 'homely' character for this film. Buzz is that this film is a thriller, however, nothing is confirmed as of now. We've to wait to get more updates from the production house. People looking for online information on Bakkiyaraj Kannan, Karthi, Rashmika Mandanna will find this news story useful.